This brightly coloured comical penguin is great for kids. It looks fantastic with our other penguin designs available. 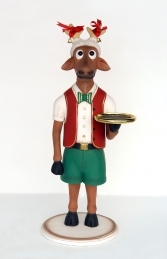 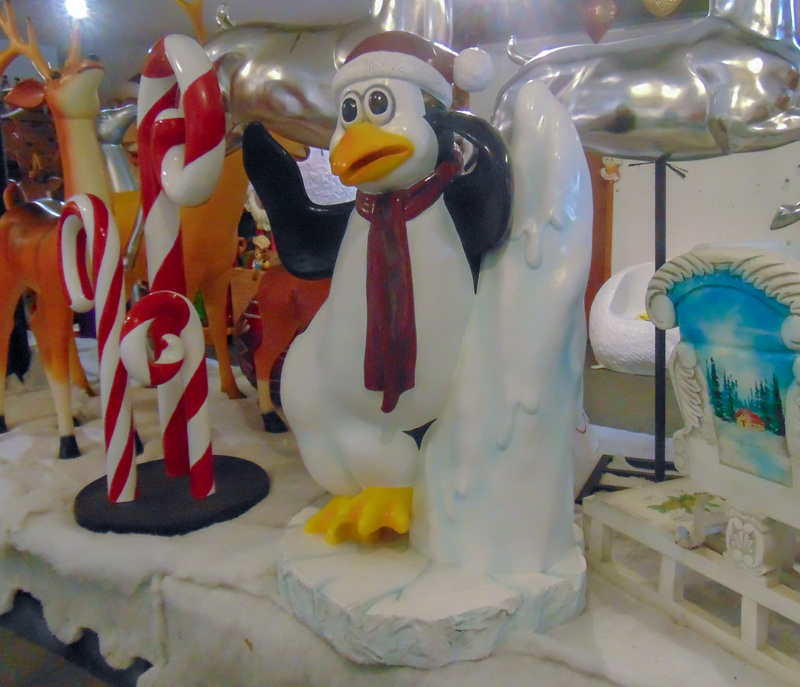 It will look brilliant amongst a grotto display, children's play area or around a swimming pool. 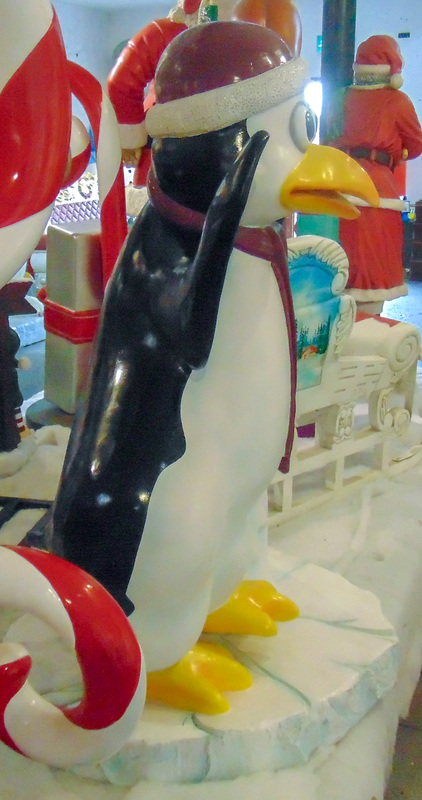 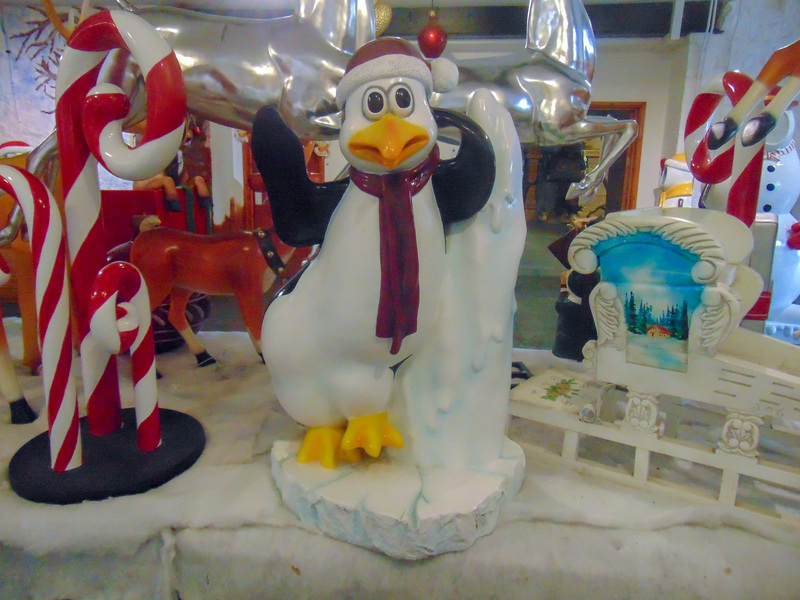 This model is fully 3D and made from fibre glass, made more durable and robust and very colourful all Children will fall in love with this Funny Penguin and want their pictures taken with him! This cheeky looking Penguin wearing its colourful hat and scarf, would brighten any area from a Children’s play area, adventure golf course, as a point of sale piece for a window display for ice creams and cold drinks, winter wonderland or Christmas Grotto scenery.